Bureau of Indian Affairs special agent Joe Evers still mourns the death of his wife and, after a bungled investigation, faces a forced early retirement. What he needs is a new career, not another case. 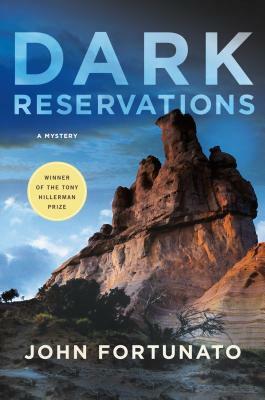 But when Congressman Arlen Edgerton's bullet-riddled Lincoln turns up on the Navajo reservation--twenty years after he disappeared during a corruption probe--Joe must resurrect his failing career to solve the mysterious cold case. Joe partners with Navajo tribal officer Randall Bluehorse, his investigation antagonizes potential suspects, including a wealthy art collector, a former president of the Navajo Nation, a powerful U.S. senator, and Edgerton's widow, who is now the front-runner in the New Mexico governor's race. An unexpected romance further complicates both the investigation and Joe's troubled relationship with his daughter, forcing him to confront his emotional demons while on the trail of a ruthless killer. John Fortunato was a captain in the U.S. Army who worked in military intelligence and served at the Pentagon during the early part of the global war on terrorism. He is now a special agent with the FBI and has earned an MFA in Writing Popular Fiction from Seton Hill University. A native of Philadelphia, he currently lives in Michigan with his wife and three daughters. This is his first novel.